Local lore has it that the valley was used by horse thieves to hide horses during the great horse raids of the early-mid 1800's. 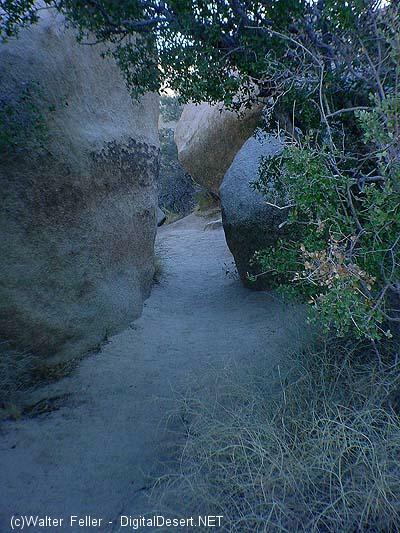 The single entrance to the valley wasn't obvious, and it made a great natural corral. From a distance, and even up close, the valley did not appear as a valley. In 1936, nearly one hundred years later, Bill Keys blasted a wider opening through to the valley. The bunch grass was lush and plentiful, and the valley made an excellent, naturally fenced pasture for his cattle. At several places along the trail, blast marks widening the entrance can be seen.